Design Debut introduces young companies to the world of housewares at the Show. 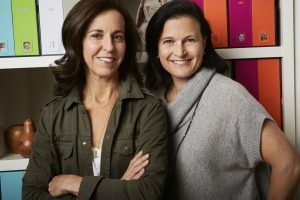 Savor began when two professional women who met at their children’s school joked around about how they were exhausted from trying to juggle a newborn, family and a job. They created a company when they discovered the need for a product that fit their family lifestyle. Karla and Jennifer, tell us a little about yourselves. We both have a dual focus on good design and ease. Karla spent her career identifying market opportunities and building brands in the high-design juvenile and home sectors. When she had her first child and saw these crazy contraptions called high chairs were impossible to use and even more impossible to clean, she spearheaded the award-winning OXO Tot line. Jenny, an attorney, has deep experience in fundraising for national organizations and is that ‘go to’ mom everyone turns to for advice in planning a kickass birthday party that doesn’t take a degree in arts and crafts, or a weeknight dinner party that looks fancy but can be done in an hour. Savor began over a kitchen table, where women often get together over coffee. Like all parents, we care deeply about these tokens of childhood we’d collected. The smell of that shirt our son insisted on wearing day after day after day, which we hated then, now brings us right back to that moment in his childhood that would otherwise be gone. In this digital age, we are as photo-happy as the next parent, but we aren’t gathering around the computer to feel close. It’s the objects that tell the stories of our lives. We believe they deserved more than the plastic bin into which they are often shoved. 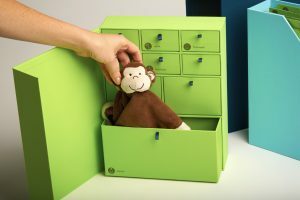 In our research and surveys of other parents, our theory was confirmed when we learned that almost all parents are dissatisfied with the storage and organization of our most treasured family keepsakes. We felt sure that when Karla, the neatnick, combined forces with Jenny, the details queen, we could come up with a system that would be better—both easier, more thorough and more beautiful—than the baby book or the plastic tub. To solve this problem, we knew we needed to get the details right. In developing the solution, we interviewed parents, grandparents, retailers, designers, archivists, organizers, and others about what they needed. 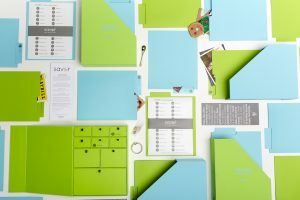 We were close to launching, but then a focus group with moms led us back to the drawing board and finally to led us to our first product line, The Library, the books that tell the story of your life. Tell about how you determined the product concepts to pursue. The guiding principle that we can live well and beautifully, without it being too hard to do – serves as the mantra for our company and our initial product line. People wanted a box that was as special as the memories inside, but one that wasn’t old-fashioned. So our handmade, book-cloth covered boxes fit with modern décor. This means they are kept accessible, to make looking at them or adding new items easy. And the more than 50 labels take all the thought out of organizing items, so now parents just peel a sticker, drop in a memento, and enjoy their keepsakes. Can you reveal some of the lessons you learned as you built your business? Everything takes longer than you think it will. You start a business because you have an idea and maybe, if you’re lucky, between the two of you, you’re really good at three or four things. But no one is good at everything. We’ve learned more about shipping, accounting, and web development than we would have thought possible. Our mantra is “I’m doing the best I can,” and we repeat it daily. And, as a corollary, “Don’t be afraid to get help.” We are lucky to have kind and generous friends and families to lean on for this! We are planning to sell at shops that cater to parents who have a sense of style, practicality and desire for modern products. So far, we have just started taking orders from juvenile shops, stationery/art stores and gift stores such as Genius Jones in Miami and Mini Jake in Williamsburg (New York). 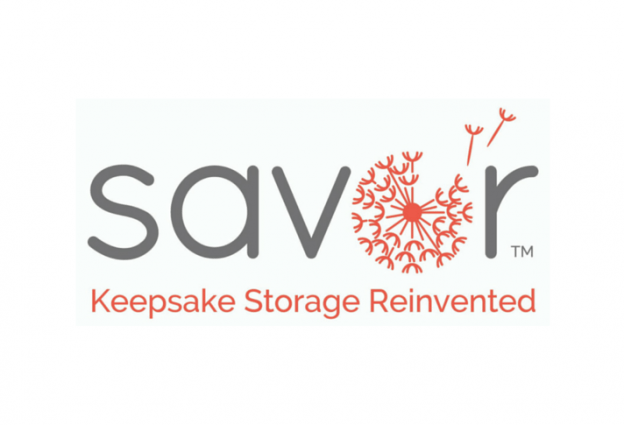 Of course we also sell our product on www.savor.us. We plan to launch a Kickstarter campaign in April and have waiting list for our Library storage boxes to ship. What are your hopes for your appearance in the Design Debut at our Show? We are thrilled to be part of this Show because it’s a Show that, like us, prioritizes design with functionality. For us, the attention to aesthetics and detail are in everything that we do – from the ability to personalize every box, to the alliterative titles on the spines, to the ways the drawers are stoppered into place so they don’t fall out of the box. This Show has a history of launching exciting and clever ideas that make your life easier, and we are hoping to be part of that tradition. Thank you, Karla and Jennifer, for chatting with us about your experiences and discoveries. Love the dandelion puff in your logo—a reminder of how quickly childhood passes. What mother hasn’t smiled at a bouquet of dandelions picked by a loving son or daughter! We look forward to meeting you at your display in the Design Debut in booth N8724. We wish you a successful Debut! The Discover Design Expo hosts established design brands such as Alessi and JosephJoseph and introduces rising newcomers in Design Debut, the Show’s incubator for budding companies. Housewares buyers seeking the very latest in creative directions will discover these selected 11 exhibitors from California, Texas, New York, Detroit, Chicago and Germany at their mini-displays set in N8724.